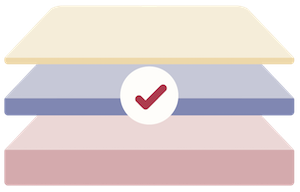 Amerisleep has a line of 5 memory foam mattresses that are all catered to different types of sleepers. I already tried out the AS4 and had a good experience. 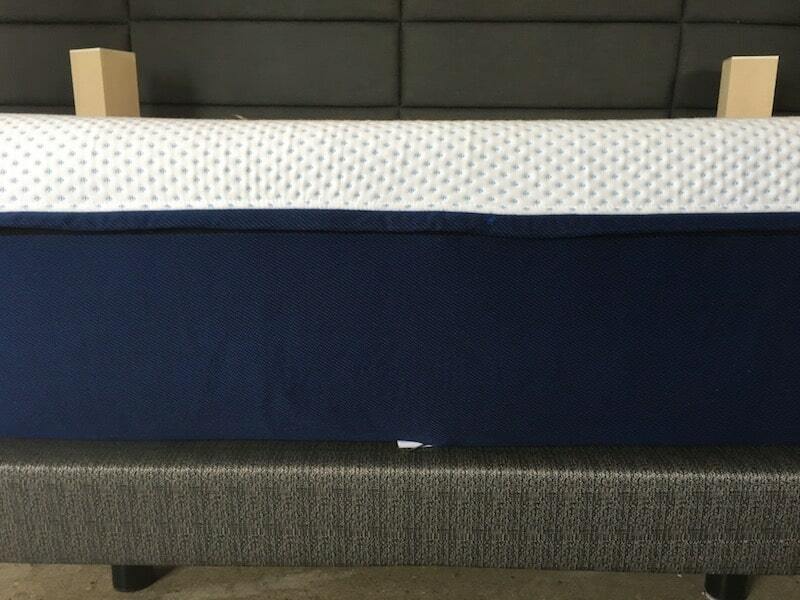 The AS2 is meant more for stomach and back sleepers, so I was interested to see how it compared to the AS4 and AS3 mattresses from Amerisleep. 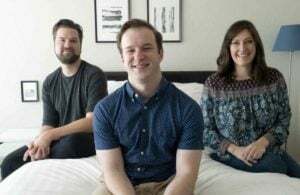 I typically sleep on my side, so this mattress wasn’t necessarily the best fit for me, but I really like the concept the company has of making a line of mattresses catered to different types of sleepers. 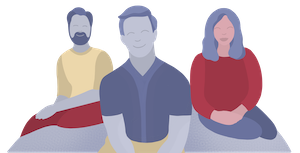 If you don’t believe that there is one best mattress for everyone, then Amerisleep might be a company to look at. First thing to note is the cover is made in part with celliant. There are some studies that show that celliant can bring numerous health benefits to you. I’m not a scientist and can’t vouch for these claims, so I would encourage you to do some independent research. The top layer is 2 inches of memory foam. The memory foam has a 4 lb. density and ILD of 10 (very soft). The memory foam is part bio-based. The second layer is 3 inches of poly foam in what the company calls an affinity layer. It has a 1.65 lb. density and ILD of 40 (very firm). You can see that the top layer is pretty thin and then there are two very firm layers underneath it. 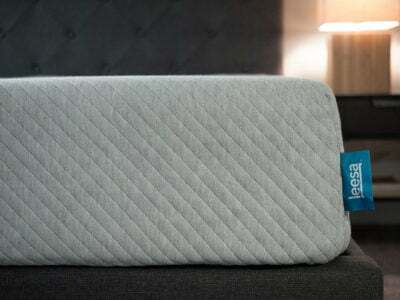 As a result, the mattress has a firm feel overall and is a good match for stomach and back sleepers. 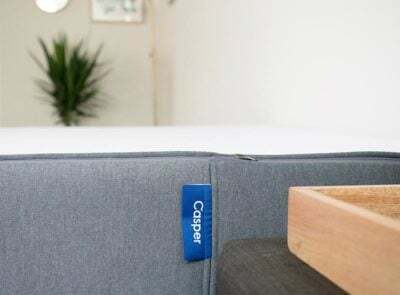 You Want A Memory Foam Mattress And Want To Sleep Cool– Amerisleep does maybe the best job within the memory foam category of keeping their mattresses cool. 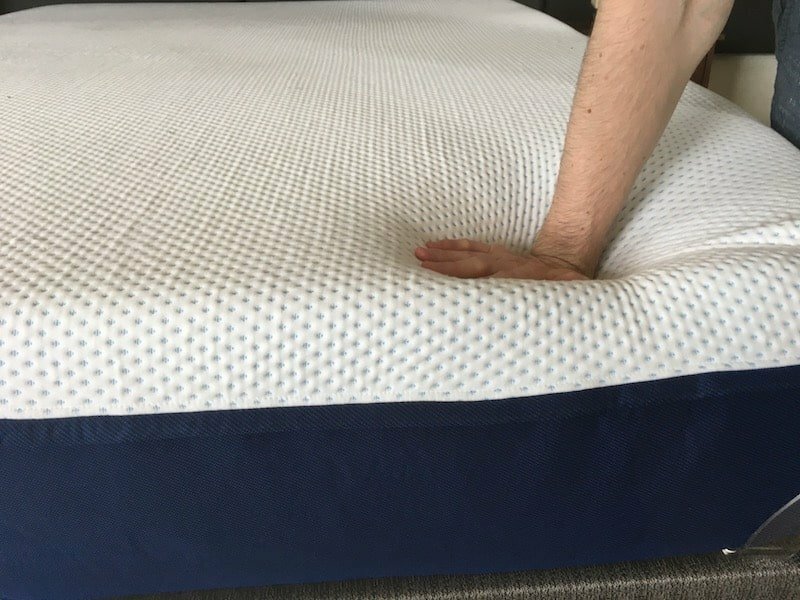 The bio-based foams plus celliant cover make for a great combination in keeping the mattress cool. You Sleep On Your Stomach And/Or Back– The AS2 was made specifically for stomach and back sleepers. It is definitely firmer than average in my experience, and you don’t sink into the mattress very much at all. It’s a great match for people who sleeping on their back or stomach. 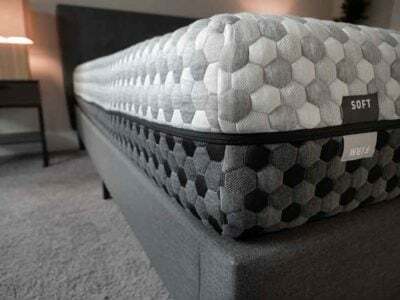 You Value The Extras In The Construction– The AS2 definitely costs more to make than other bed-in-a-box mattresses and has some nice extra touches that make the mattress stand out. For example, the celliant cover is unique and potentially has a number of health benefits. I can’t vouch for the claims about celliant, so I would encourage you to do your own research on it. The bio-based foams are a nice touch to keep the mattress cool as well. You Sleep With A Partner– The As2 does an exceptional job at isolating motion. That means you won’t be disturbed if your partner moves around in the bed. This makes it a great mattress for couples. You Want The Bounce/Resilience Of Innerspring Or Latex– The AS2 foam is fairly slow-moving (although faster than most memory foam). Whether you like bounce/resilience is typically just a matter of personal preference. If you want a more bouncy mattress, then you should probably find an innerspring or latex option. You Are A Side Sleeper– The AS2 was made to be firmer than average. As a result, it is better for back or stomach sleepers. For side sleepers, unless you are on the heavier side, you might not quite get the pressure relief you need on your shoulders and hips. If the AS2 doesn’t look like the right firmness for you, make sure to check out my Amerisleep AS2 vs AS3 comparison. Motion isolation refers to whether you get disturbed when your partner moves around in the bed. As you can see from the video below, the AS2 really does an excellent job at isolating motion. This makes it a great choice for couples. Amerisleep says that the AS2 is a medium firm feel. From my experience, it is definitely firmer than average. When I’m on my side, I can feel a decent amount of pressure on my shoulders. While that means it’s probably not the best option for most side sleepers, it is a great option for people who sleep on their back and stomach. It gives great support while still being quite comfortable on my back and stomach. The mattress definitely has that slow-moving memory foam mattress feel. It is more responsive than other memory foam mattresses, but it isn’t going to be as quick to respond as an innerspring or latex mattress. The AS2 is $1,299 for a Queen, but you can typically get up to $200 off with an Amerisleep coupon. 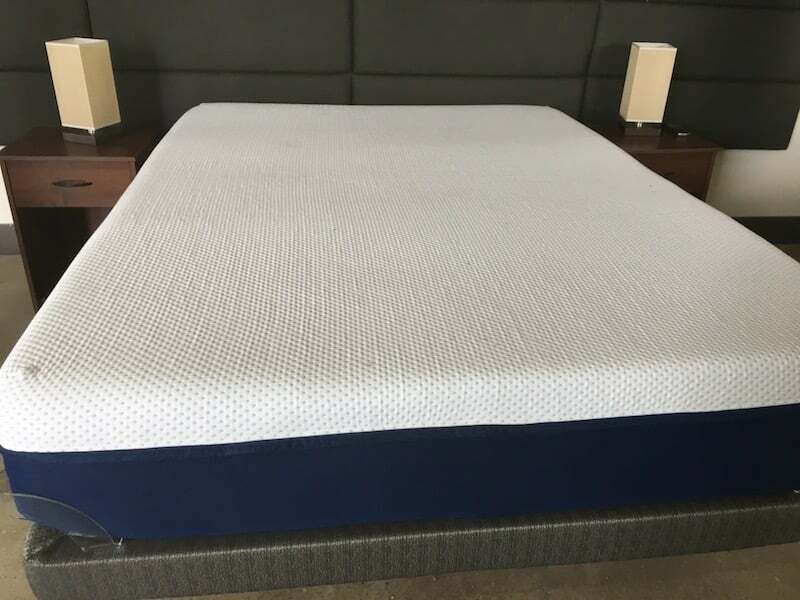 The company spends more on the materials of their mattress than almost all other companies with a mattress in this price range, so there is a lot of value to be had with this mattress. I’m a believer in the value that Amerisleep provides. The company puts a lot of extra care into the construction of their mattresses, and the AS2 is no exception. 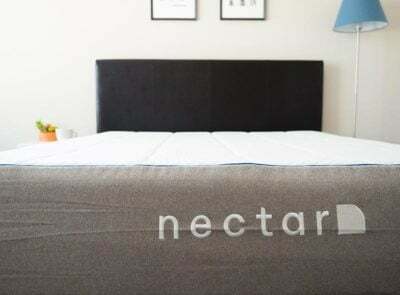 I agree that this mattress is best for stomach and back sleepers, and would not be my first choice for side sleepers. Does this mattress tend to get softer with time? A little bit softer, yes. How does the firmness of the AS2 compare to the Tuft & Needle, which is what I currently sleep on? I like the firmness of the T&N but my partner thinks it’s a bit too firm. We are deciding between the AS2 and AS3. The AS2 is firmer in my opinion than the T&N. can you tell me how the Revere compares to Novosbed and Loom and Leaf? I am currently sleeping on the Novosbed medium firm which I find very soft. We have the Loom and Leaf firm in our guest room as we found it too firm (but not too bad), and wanted something just a touch softer. I have spine issues and tend to like something that keeps my back aligned even if on my side. The Novosbed just sinks me in way too much. Firmness is subjective, bu the AS2 definitely is firm. It has 2 inches of comfort material and then a really firm layer underneath it. Hi Joe..I finally decided and received AND SENT BACK MY SAAVTA mattress. I guess it is back to the drawing board after 2 years of deciding. I knew after 2 nights this would not work for me. I am a side sleeper but not interested in a foam mattress.. I am thinking hybrid of some sort. ?? What did you not like about Saatva? WinkBeds is similar, but slightly different feel. Other options that feel more different (but still have springs) are the Sapira and Nest Alexander Hybrid.